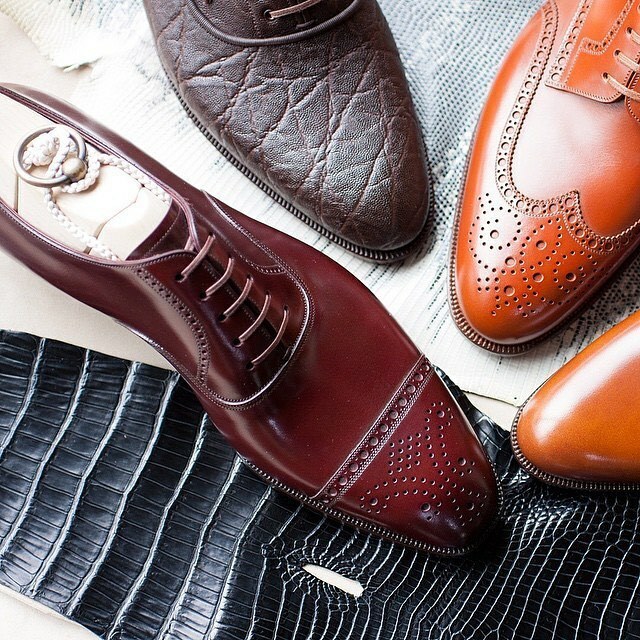 Are the World's Best Men's Shoes Now Being Made in Japan? Discussion in 'Andy's Fashion Forum' started by Flanderian, Aug 19, 2017. I think they might be. A bold question or perhaps only a foolish one. But superlatives beg comparisons. First I haven't personally traded with all the world's shoemakers, or even all of those in Japan. So I'm going strictly by eyeball scrutiny of those to which I've been exposed. And foolish also because of the proper esteem held for the many fine makes of Northamtonshire, Italy, Spain and eastern Europe. And what do I mean by best? Because it can quite properly mean different things to different people. 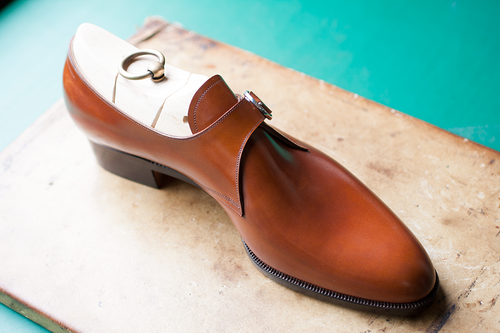 My definition is simple, the most beautiful shoes, of the most careful precision made from exquisite materials. And based solely upon this description, the shoes I'm seeing are not of the best, but among the best ever! Now should you wish to ask how you may acquire such, it's really simple, all you will need is $3,000+, a round trip 1st class ticket to Japan, and about a year's patience. damon54, Victoria Star, Bjorn and 2 others like this. For some reason I am seriously uninterested. $3K? For something to put on my feet? I think not. I love fine automobiles. I would very much enjoy and appreciate a Bentley. For me it's not a status symbol, it's an experience. I've never had one, and shall not, and I'm fine with that. But that makes one no less beautiful or wonderful. DapperAndy, damon54 and Bjorn like this. Okay, in that mode I feel the same way about shotguns. Own an original Dickson round action? Not in this lifetime. But I have to admit that I feel they are the ultimate. I once had the opportunity to handle (fondle!) several David McKay Brown round actions. It was a near religious experience. Although I can just about wrap my head around the concept of spending $3000 for a pair of shoes, threads like this is a constant, and very welcome, reminder of why I will never do so. 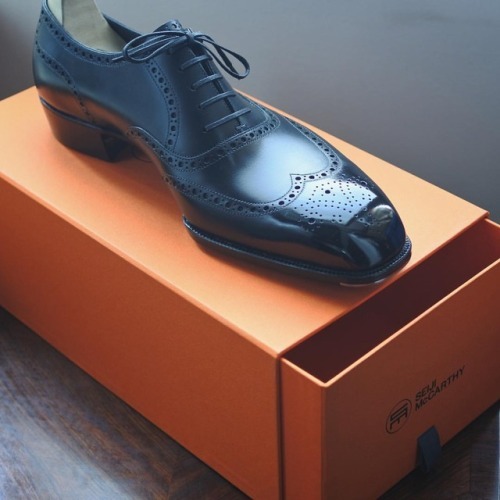 To my eye and my sensibilities, the shoes pictured are more akin to pretty ornaments most suited for displaying on a mantelpiece or display case. 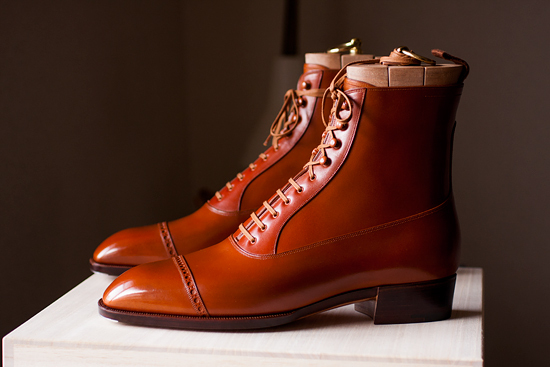 Though undeniably lovely and undoubtedly of the highest quality, most are simply far, far and away too dandified and effete for me to consider both buying and wearing. Japanese or not, those shoes are stunning. The sleek silhouettes are captivating. Victoria Star and jtbing like this. Those are Bonafe I believe. There was a pair on ebay not too long ago.